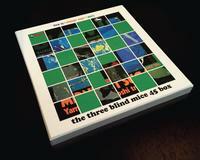 Three of the all-time great jazz selections from Three Blind Mice — a must-own collection! Finally available again after an all-too-brief release by BoxStar Records in 2012, the Three Blind Mice 45 RPM Box is the highly desirable collection of Misty, Midnight Sugar, and Blow Up in one awesome package — six discs in all! The box has received a high-classs upgrade: a full-cover box, remade LP jackets with improved clarity and color, a deluxe four-color insert with session photos and brand-new liner notes by radio personality and audio enthusiast Tom Schnabel. Due to Impex's close affiliation with Three Blind Mice, dating back to the 1990's, the label has worked dilligently to not only bring these audiophile classics back, but to do so in a super-deluxe way. These LPs are pressed from the original stampers, preserving the original sonic magnificance while presenting the three LP sets in top-quality packaging. The jackets follow the original Cisco/TBM 45's of 2003 but have been cleaned up, clarified and color-corrected to original glory. The labels now match the accent color of the jackets. Included is a 4-page insert with archival photographs and a new essay by Schnabel ("Rhythm Planet, KCRW 89.9, Los Angeles). Topping it all, literally, is a new lift-top box with black lining and special spot UV coating. Mastered by Tohru Kotetsu (Misty, Midnight Sugar) and Kevin Gray (Blow Up) and pressed at RTI, this limited edition surpasses all of your most demanding judgments. Just another way Impex Records is redefining definitive. Isao Suzuki's Blow Up is virtuosity and class all rolled up into one. A great combination of upbeat blues and mellow grooves! The album was awarded the Jazz of Japan Award and the Jazz Disc Award from Japan's Swing Journal in 1973. Touring with the Micky Curtis Band, Tsuyoshi Yamamoto had the chance to explore several international experiences that he would later use on his 1974 album, Misty, as he worked with this band in France, England and Switzerland. On Midnight Sugar the Tsuyoshi Yamamoto Trio plays two of Tsuyoshi's own blues improvisations followed by jazz ballads that became standards for the Trio. The combination of these titles is nothing but exceptional. The Yamamoto Trio's Midnight Sugar was recorded March 1, 1974 at Aoi Studio, Tokyo. It earned the Best Engineering Award and Jazz Disc Award from Swing Journal in 1974. It is Yamamoto's unmistakable skill and his jazz feeling which adds that certain touch of liveliness and spontaneity and makes Midnight Sugar a unique experience. This piano trio will mesmerize you with this great collection of standards, superb musicianship and awesome sonics. You are sure to listen to this one over and over. Misty also earned both the Best Engineering Award and Jazz Disc Award from Swing Journal in 1974. Recorded at Aoi Studio, Tokyo, on August 7, 1974. Tsuyoshi Yamamoto is highly musical and his expressions natural, neither overly technical nor serious, his performance is relaxed and melodious. This audiophile 180-gram 45 RPM 6LP Collector's Box Set is an absolute must have for jazz and music lovers alike!